One of New San Jose Builders, Inc.’s (NSJBI) latest addition to its growing number of high-quality condo developments in the metropolis, is the Fort Victoria BGC. This 3-tower high-risers, curved beautifully like knights standing mightily ready to depend their territory and with its facade designed in ultra-modern architecture. The project sits near (actually, less than 200 meters from its south tail end) the Manila Golf and Country Club, Singapore Embassy, the Manila Polo Club and the residential buildings of The Beaufort and the Pacific Plaza. Fort Victoria is nestled along 5th Ave., corner 23rd St., Fort Bonifacio Global City (BGC), Taguig City. The triple-tower residential condominium is only walking distance from the corporate address of the Philippine Stock Exchange Tower, Net One, Marajo Tower and the Oracle office buildings. The central business districts of BGC and Makati (just across the Manila Golf and Country Club) are only minutes away from the site. The location of Victoria is further enhanced by the towers’ residential units which come in 1-BR (Loft type), 2-BR, 3-BR and 3-BR Combined Units that are really conducive for growing families and young professionals doing business at the Fort. Fort Victoria never runs out of retail shops, commercial areas, hospitals, schools, entertainment and leisure centers, shopping centers, fine dining, cinemas and other key destinations in its immediate vicinity, that is why the entire family’s needs are addressed, aside from the abundance of workplaces thriving in the area. The amenities are superb, with an impressive treat of a bird’s eye view of the city’s skyline, the Fort’s vicinity and the beautiful and sprawling golf courses as the towers are designed having no inner units but instead the bay windows are fronting these magnificent views. If you are looking for a place to call your home that is within walking distance from everything that you may ever need or want then you need to check out the Fort Victoria condominium located right in the heart of Fort Bonifacio, Taguig. This towering structure gives its residents a grand view of the Fort Bonifacio complex and you can also see the majestic skylines of the neighboring cities. When you live in Fort Victoria, you will literally not be in want for anything else in your life. Fort Victoria is one of the crowning projects of the prestigious real estate developer New San Jose Builders. It is also one of the company’s most ambitious undertakings as of yet. The building consists of three towers, and all of them are just 5-minute drive away from the central business districts of both Taguig and Makati City. This means that if you work in either one of those locations then you will never have to endure the hellish commute every morning and evening. Aside from being so close to your work, you also get the benefit of being within spitting distance of all the modern amenities and facilities that the metro can offer. If you are seriously considering to live in Fort Victoria, you have a choice between three styles of condominium units, all of which provide more than enough room for a single professional and even a small family. The first, and the most “basic” unit (I use that term loosely because the unit is still quite opulent for being the base model) is the Typical Unit, which measures around 43 square meters. 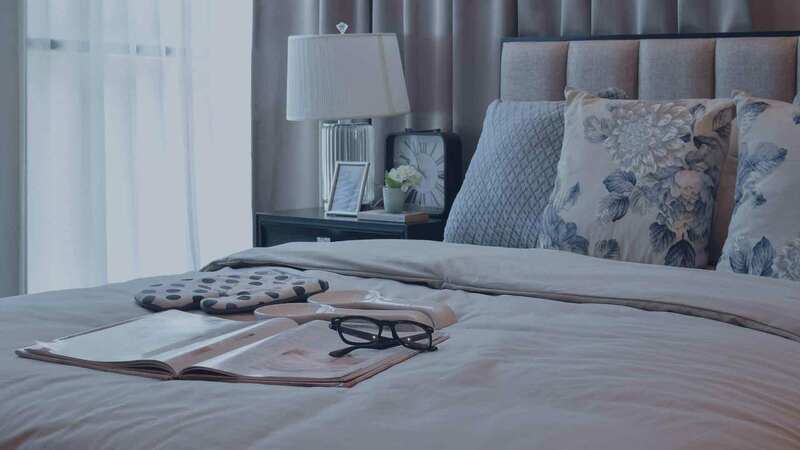 You might think that 43 square meters is quite small, but the units in Fort Victoria are not the same as the ones you usually see in most other condominium building because the ones in Fort Victoria actually have an upper level. In the Typical Unit, you will find the guest bathroom, the kitchen, dining area, and living area on the first floor of the unit. On the second floor, you will find the Master’s Bedroom, another T&B, and a separate study room. This is perfect for a single professional, or a couple who is just starting their lives together. If you need an additional bedroom, you can just convert the study into one if you so please. However, the only access to the room is through the Master’s T&B, so it might not be that convenient. The next unit on the list is the Upsized Unit. As its name suggests, it is a bit larger than the Typical Unit. In addition, there is an actual second bedroom rather than just a study. Just like the Typical Unit, on the first floor of the Upsized condo unit, you will find the kitchen, the common T&B, dining area, and the living area. All of these are roomier than in the Typical Unit. On the second level, there’s the Master’s Bedroom, a second T&B, and the second bedroom, which has more space than the study in the Typical Unit. Another neat feature that the Upsized unit has that the Typical does not is the large bathroom in the second floor. In fact, it is big enough that you can install a huge vanity mirror on the wall. In addition, it comes with a big tiled counter for all of your toiletries. Finally, if you are absolutely in need of a bigger space than what the previous two units can offer, you need to check out the Combined Units. As you might have guessed by now, the combined units are just two adjacent Typical Units with their dividing wall taken down to make a larger, more spacious living environment. Although the Combined Units still have two bedrooms, they are a whole lot roomier than those in the previously mentioned units. Both of them also have their own bathrooms. In the first floor, you will find the kitchen and dining room, which is quite spacious and can fit a dining room set that can seat at least six people. The living area is also quite spacious. You can fit a complete media center and a full-sized, wrap around couch with no problem at all. At the second floor, you will find the Master’s Bedroom, which is almost twice the size of the Master Bedrooms of the previous two units. Not only does it have its own bathroom, there is also ample space for a small nook by the full-length window where you can have some breakfast while reading the morning news. You will also find the second bedroom on the upper level, and this one has its own bathroom as well. You will also find a spacious study area where you can get some work done or maybe even work on your hobbies. New San Jose Builders Fort Victoria in Taguig City, Philippines is a premier Condo project available for sale. If you're looking to rent or purchase Fort Victoria, then check here first. We have full details of Fort Victoria updated regularly as well as everything you need to know about the availing and booking process, broken down into stages that includes selecting a unit, choosing a payment plan and buying your dream home at the right price. For price list, free site tripping or showroom visit, personalized service, model house, unit plans, floor plans, payment terms, CHAT LIVE with an agent 24x7. We are Remax Perfect Homes. Always only buy from PRC licensed Real Estate Brokers and Agents. The Fort Victoria is teeming with a resort-style amenities that will bring your knees to submission as the convenience and relaxation they entail are really priceless. These amenities also promote active lifestyle so the family does not remain couch potatoes after an intense day in school or stressful moments at the office. Amenities include spa and sauna, jogging path, Jacuzzi, clubhouse with function rooms, fully-equipped fitness center, swimming pool with separate Jacuzzi, sunbathing deck, playground, landscaped park with water features and provision for sports area, among others. Once you decide not to stay at your purchased unit, you may opt for a lease alternative with management’s assistance, which will look for prospective tenants on your behalf, with minimal fee. By this option, you may rented out your unit and management will remit to you the monthly rent, less their commission or fee. This is a very profitable business proposal especially when you are paying the balance of payment for the property in monthly amortizations (MA). Monthly rent on this area is usually higher than your MA, so it follows that you earn extra income while you are bound to fully own the unit in the near future. Recently, the World Bank had declared Taguig City, especially BGC, as the Philippines’ Most Competitive City in doing business. This declaration further boosts the district’s popularity among big local and foreign investors wanting to do business in the country, a big plus points for BGC’s competitiveness that may further increase the worth of your investment in the coming years.